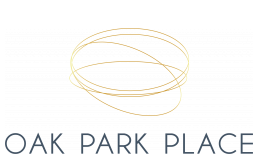 Located just ten miles from downtown Chicago, Oak Park Place puts you right in the heart of great shopping, dining, entertainment, and more! Explore the history and culture of Oak Park when you visit the Frank Lloyd Wright Museum. Our community is just five minutes from Loyola Medical University, so your educational pursuits are never out of reach. Within walking distance of Austin Gardens, the Metra, & the CTA green line, Oak Park Place allows you to enjoy the outdoors or enjoy easy access to the city. Interstate 290 is also close by, making your commute to downtown Chicago a breeze. Our community is also within one mile of great restaurants, Whole Foods Market, and River Forest Town Center shopping. Visit our ideally located Oak Park, IL apartments today! Cats and Dogs allowed in select apartments. Breed restrictions apply. Pet Fees (non-refundable): $200 per cat (2 cats maximum), $250 per dog (1 dog maximum).